Remarkably durable and timeless in style; the Dixon Sunbrella® range of Square umbrellas are perfect for many spaces. The Dixon Sunbrella Square Umbrella in Canvas is a splendid off-white market umbrella useful for many scenarios! Whether it is a family picnic, a stationary umbrella for your verandah or en masse in your restaurant or dayspa; these gorgeous ‘brollies’ are terrific! The Square look is chic and sophisticated, and you can sit beneath these fantastic umbrellas with the knowledge that you’re been protected from the harmful UV rays with reputable Sunbrella® fabric. Try three of the smaller models alongside your pool, with three of our gorgeous Summer Loungers in a matching taupe beneath. You’ll relish being shaded in style and comfort! The umbrella base shown is not included in the price. The Dixon Sunbrellas also look fantastic with a great range of our Café Tables. Purchase several Square Pedestal Tables in different sizes with a corresponding size of umbrella. Finish off the look with our fabulous, classic Prego Chairs around each table and dress with mini hurricane lamps or a vase of wild flowers. Your guests will love spending time comfortable, relaxed and outside with you! 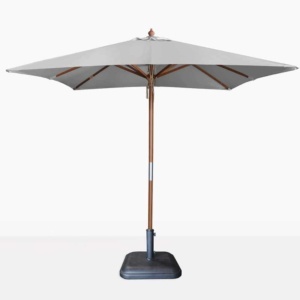 Purchase one of these large 3 metre Dixon Umbrella for our huge 2.6metre Hampton Table in Grade A Teak, and surround it with all weather wicker Hampton Dining Chairs. 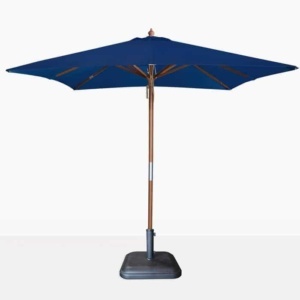 The Dixon Canvas Sunbrella Umbrellas are so easy to use and maneuver that you can have a couple stored away for use on hot days out on your patio or in your vast backyard. The smaller 2.5m Dixon Umbrellas are also easy to travel with – perfect for those family beach picnics! These high quality Sunbrella® umbrellas are now available at wholesale prices with Sunbrella® fabric canopy, and an easy pulley system. 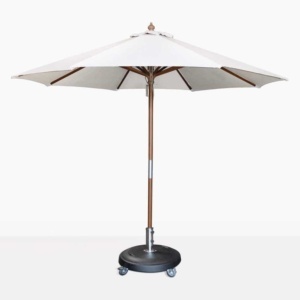 The umbrella base is sold separately, choose from our great range of bases in different sizes to fit the umbrella you choose! 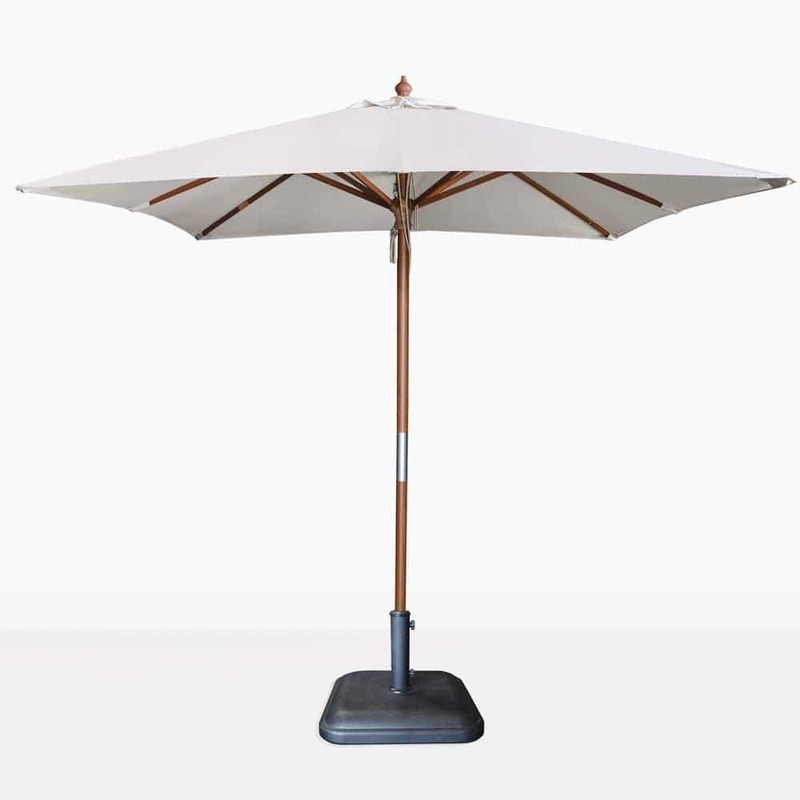 The Dixon Sunbrella® range is also available in Taupe, Graphite or Black.